The second part of a set of three. Key provided. 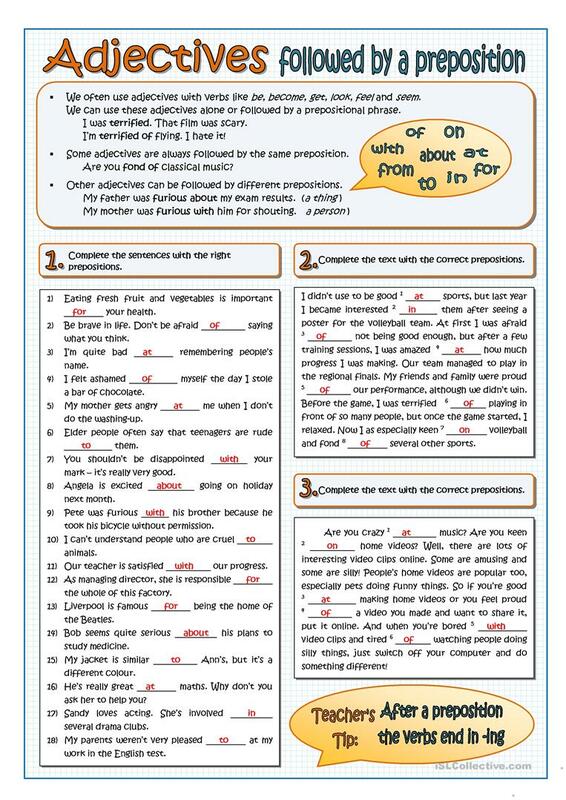 The above printable, downloadable handout was created for high school students and adults at Pre-intermediate (A2) and Intermediate (B1) level. 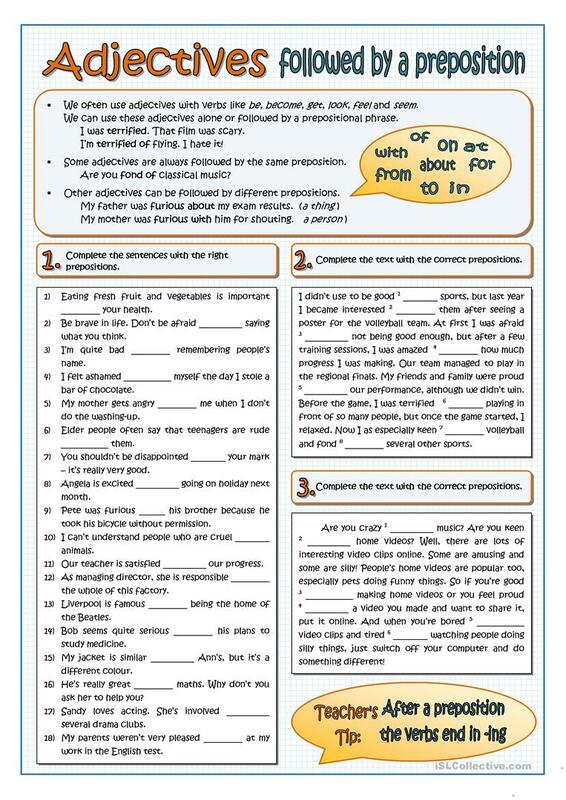 It is aimed at consolidating Adjectives and Prepositions in English, and can be used for working on your class' Speaking and Reading skills. It is focused on the theme of People. The exercises come with answers.